Today we were headed just up the road to Goondiwindi via Moree where we decided to take a nice refreshing – well given the outside temperature was about 37 deg and the two pools were between 30 – degree im not sure refreshing is the word but they were lovely and relaxing. 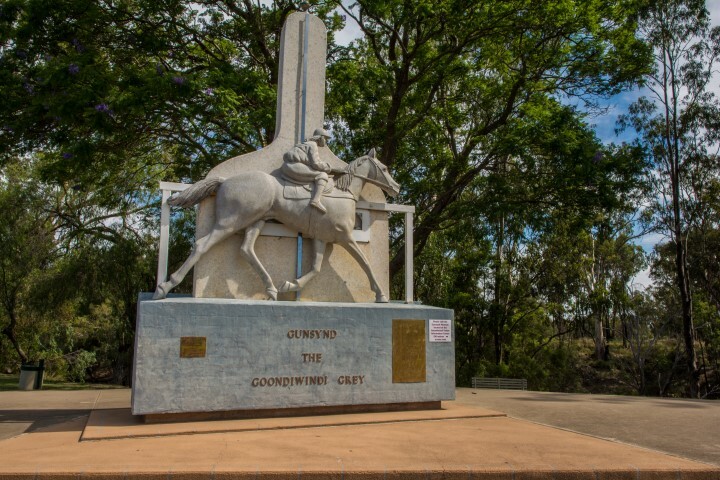 We arrived in Goondiwindi and again hit the tourist info centre, which is also the museum for the famous horse Gunsynd – Goondi is literally a one horse town J ..Gunsynd was a champion thoroughbred race horse that won 29 races. In seven starts over 1 mile he was only beaten once and is the only horse to have one the four major one mile races in the same season (still to this date) – the Epsom, Toorak, George Adams and Doncaster. He is said to have had a personality bigger than his winning record only entering the track when the crowd cheer was loud enough and would return to the crowd and again when the cheers were loud enough he would bow his head to the crowd. From the museum we headed over the Customs House museum which unfortunately was closed (even though the hours were Wed – Mon and it was Monday !) possibly due to the fact it was Christmas week. 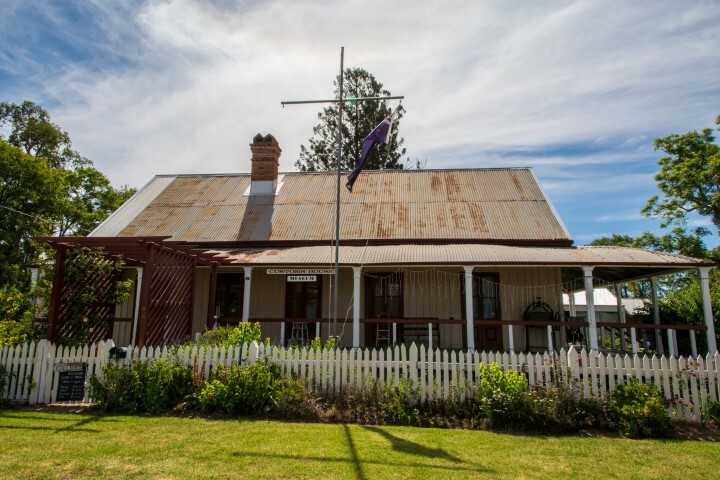 The QLD / NSW border is the MacIntyre River and as prior to federation crossing the river/border was like entering another country so customs had to be cleared. 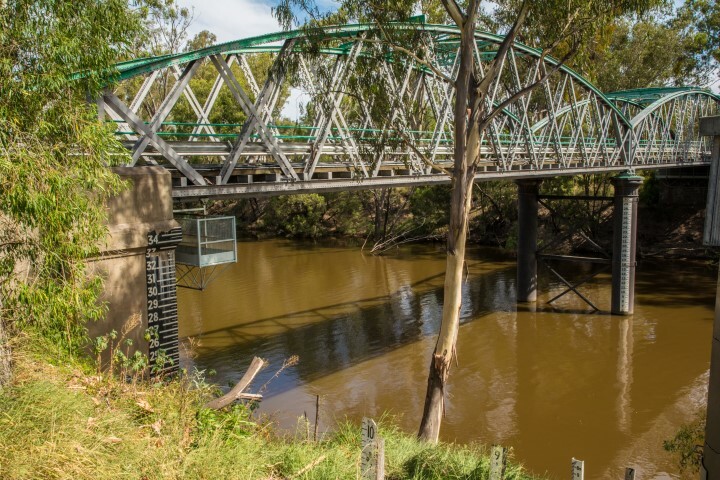 We wandered around here for a little while crossing the river on the old bridge and checking out the statue dedicated to Gunsynd (named Gun=Goondiwindi, Synd=Syndicate – he purchased for next to nothing by four bushies hoping to win a Group 1 race at Goondi races!)). 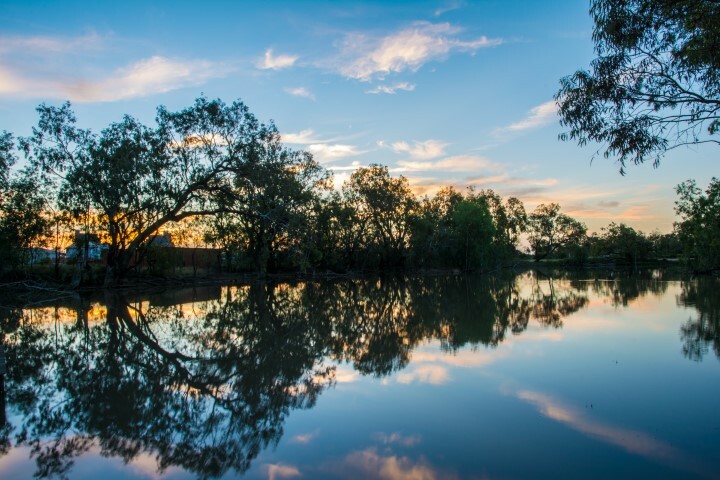 Then it was out to the caravan park and the botanic gardens to scout out a sunset spot, which ended up being the little billabong at the end of the road in the park we were staying at! Dinner tonight was the railway hotel, which wasn’t too bad.